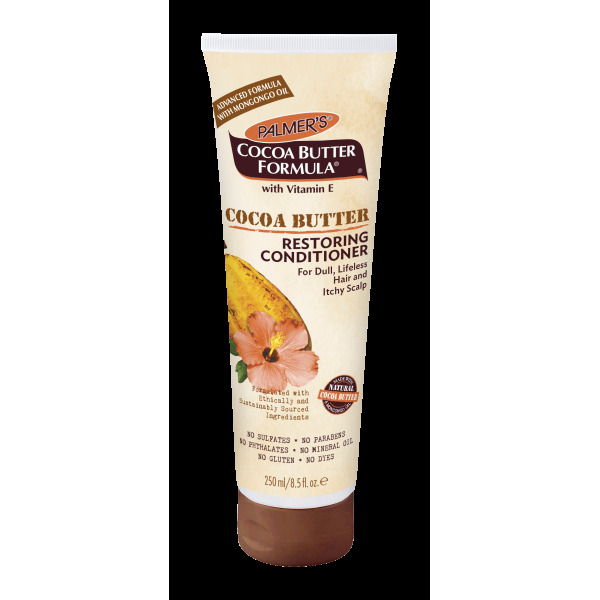 Palmer's Cocoa Butter Formula Restoring Conditioner combines the ultra moisturizing benfits of pure Cocoa Butter and Vitamin E to nourish your hair and scalp, leaving your hair beautifully moisturized and shiny. 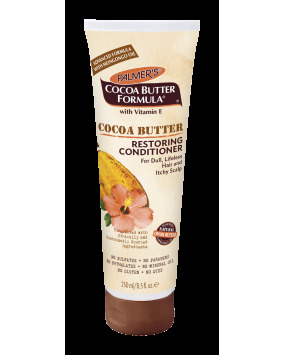 These luxurious moisturizers will soften your hair for easy styling and manageability. Natural Peppermint Oil is added to refresh hair and soothe dry scalp. Natrually high in Vitamin E and polyunsaturated fats, Mongongo Oil is an excellent emollient for healthy hair and fortified scalp.